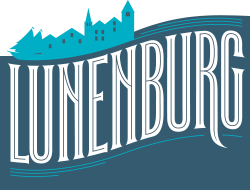 The Lunenburg Board of Trade e-mailing lists are split into three main areas in an effort to ensure that you receive only the communications you are interested in. List 2 applies to members in good standing. If you try to subscribe to this list and are not a member the request will be rejected. If you would like to become a member please refer to the Apply for Membership information. You may unsubscribe at any time by clicking on the un-subscribe link included in the footer of our e-mails. Special Meetings, Membership Benefits, AGM etc. Non-member community groups and non-profits. For example art galleries, heritage society, churches, public service announcements etc. Government: Federal, ACOA, Provincial, Municipal and the Town of Lunenburg, Regional Development Authority and other business organizations.